Notes: Common in coniferous woodland, plantations and gardens throughout much of the British Isles. 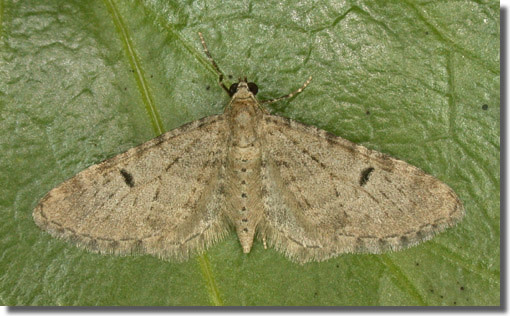 Probably under-recorded in Hampshire and on the Isle of Wight, where the extent of known records correlate with those areas in which the recording effort is concentrated, and probably present wherever there are established pine trees. Wingspan 15-18 mm. 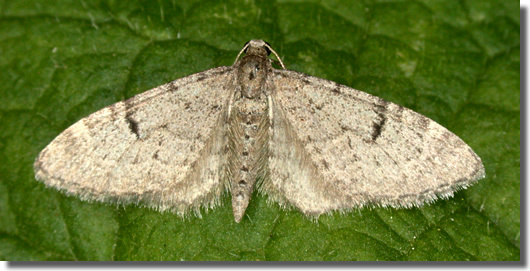 Sandy-grey colour and elongated discal spot; usually rests with forewing almost covering hindwing. Larva feeds on Scots Pine, over-wintering as a pupa.